In a medium bowl, combine chicken, cheeses, milk, and pepper. Spread 1/8 of the mixture on each lasagna noodle and roll up. In a 13 by 9-in baking dish, spread 1 cup of your spaghetti sauce. 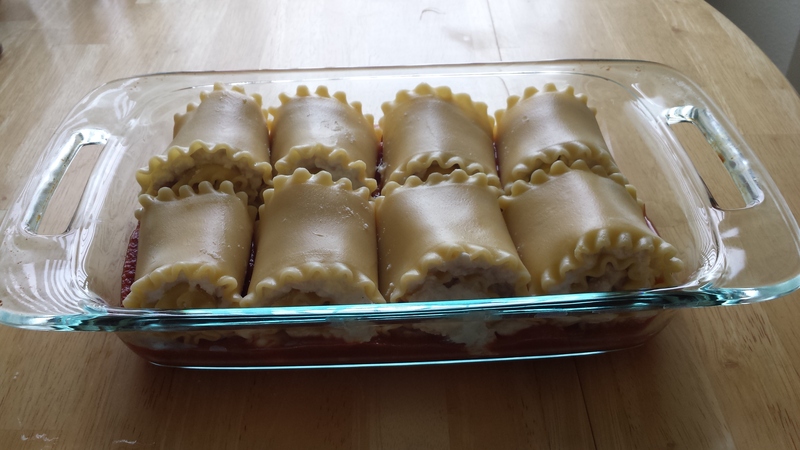 Place each lasagna roll in the baking dish seam-side down. Top with the last 1 cup of spaghetti sauce and cover with foil. Bake at 375 F for 30 minutes or until heated through.